Figuring out where to stay in Ho Chi Minh City is not an easy task! There are so many great hotels and hostels from which to choose. Our guide will help you cut through the noise and find great Saigon accommodation in no time. What’s in our guide to Ho Chi Minh City Hotels? 6. What Makes a Hotel Mindful? 7. 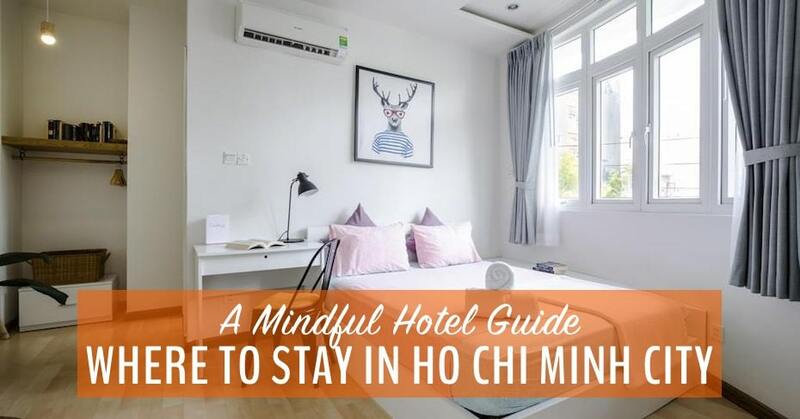 Why did we Write this Guide to Ho Chi Minh City Hotels? If you don’t want to spend the next three hours scouring Booking.com for Ho Chi Minh City Hotels, start with our great suggestions below! We pick our favourite places for every budget, from backpacker to luxury. This post was co-written by Jane and My Five Acres Staff Writer, Maddie Lynch. All prices are approximate and can fluctuate depending on time of year. Ratings come from Booking.com. The question of where to stay in Saigon is a little complicated. The best district to stay in Ho Chi Minh city for most travellers is definitely District 1. This is where most of the tourist-focussed restaurants, bars, and spas are located. However, District 1 is actually a huge area. If you want lots of restaurants and nightlife within walking distance, the best place to stay is the “backpacker” area, between Bui Vien street and Pham Ngu Lao. Especially if you’re looking for the best place to stay in Ho Chi Minh for nightlife, the backpacker area is best. It’s near the bus station, has easy access to all kinds of restaurants and bars, and is within easy reach of most of the main Saigon attractions. It also has the widest choice of accommodation. This area is very touristy — but that’s part of its charm. The closer you get to the city centre (around Pasteur Street), the fancier the hotels become. This means they are more expensive and less likely to be privately owned. However, the city centre is also an interesting area to stay in and is better for less adventurous travellers and families with young kids. If you want to mingle with expats, stay in District 2, a popular expat neighborhood. But be aware that you’ll have to hope on a Grab Bike to get anywhere! This section includes some of the best places to stay in Ho Chi Minh for backpackers and uber-budget travellers. Alongside the usual dorm rooms, these hostels also have incredibly inexpensive private rooms which are perfect for couples travelling to Saigon. We stayed here and liked it. A new hostel in Ho Chi Minh City, Alleyway Hostel features new beds, with private lockers, plug sockets, and lights. The bathrooms are modern and clean, too. It’s just a two-minute walk to the bus station and slightly away from the frenzy of the backpacker district but close enough to walk there in 10 minutes or so. If you’re a backpacker wondering where to stay in Ho Chi Minh City, try Alleyway Hostel. Saigon Fantastic Hostel is named “fantastic” for a reason. It is one of Saigon’s most highly rated hostels for location, just 400 m away from the Fine Arts Museum (and within 1 km of all other main attractions in District 1). It’s the perfect spot if you’re interested in museums, shopping and nightlife and has been rated highly by solo travellers. Saigon Fantastic also offers evening entertainment, bicycle hire, a safe place to store your valuables and even cooking classes (at an additional cost). What we really love about Vy Da Backpackers is that they offer a modern approach to backpacking. Each dorm bed is made from stylish wood and includes blinds to offer more privacy. The hostel is located in District 1 and is within walking distance (2 km or less) from all of the major attractions. The best thing about this hostel might be the communal roof terrace area where you can socialize and meet fellow travellers. Reviewers rave about the cleanliness and safety of the hotel, and the friendly and helpful staff. Most popular Ho Chi Minh City attractions are in walking distance from Nha Chung Hostel. While you’re out walking, store your valuables safely in the under-bed storage. Nha Chung Hostel organizes plenty of entertainment, from movie nights to live music, pub crawls and more. They also have a nice outdoor dining area where you can get free tea and coffee throughout your stay. They have hot showers, free toiletries and everything you need to feel at home while travelling, including a kettle in the dorm room so you can enjoy a cuppa whenever you wish. There is a huge selection of budget accommodation in Ho Chi Minh City. The hardest part is sifting through all the great choices! Start with our suggestions below. We stayed here and liked it. 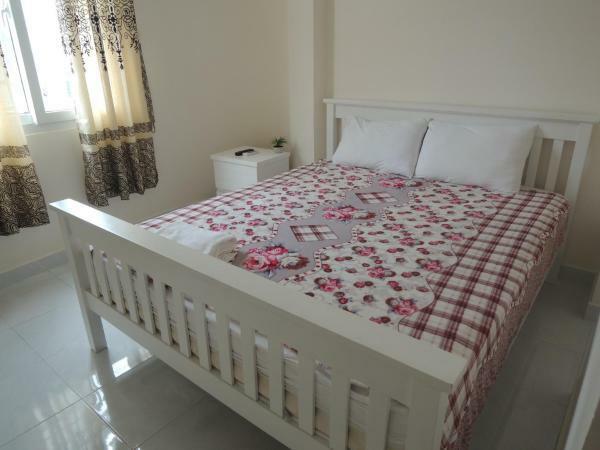 We were very happy with the comfy bed at Cozy House, the basic but clean room, and the location, just around the corner from Bui Vien, the main backpacker street. Unfortunately, when we stayed they were renovating and we couldn’t deal with the noise. When we complained, the staff did everything they could to re-situate us in their property around the corner. Since they didn’t have the right room available though, we said no and they gave us a refund without argument. We’ll give Cozy House another shot next time we’re trying to discover the best hotels in Saigon. Watch our live hotel room tour of Cozy House 140 in Ho Chi Minh City. Also have a look at Cozy House 160 which is just around the corner. We absolutely love the look of this hotel, as it offers bright, light and clean rooms and has been voted a guest’s favourite on Booking.com. Himalaya Phoenix is located in the heart of Ho Chi Minh and is surrounded by must see attractions in District 1 (the Ho Chi Minh City Museum is also in walking distance). During your stay you can sleep in a spacious, clean room, wake up to a free cooked breakfast, and have the super-friendly staff to help you out with anything you need. This colourful hotel is right in the heart of Ho Chi Minh City’s backpacker’s area, but offers a little more comfort than many hotels in the area. The rooms feature modern, quirky design and soft beds — a rarity in Vietnam. The big windows let in a lot of light but the neighbourhood is quiet, so you won’t be woken early by street noise. The staff on the front desk are extremely helpful and friendly, and are happy to help you out at any time of the day. The owner and other staff members also speak great English should you need help with anything such as arranging tours and visiting tourist attractions. We stayed here and really liked it. We love this bright and cheery hostel which has super clean and ‘feel at home’ style rooms. Many reviewers say that Saigon Inn is the cleanest place they’ve stayed in the whole of Vietnam. The staff are also extremely friendly and helpful, and treat you like you’re one of the family. Saigon Inn offers an amazing breakfast, including a large fresh tropical fruit platter. The Inn is in District 1, but is a little way away from the chaos of the main backpacker street (so you can have the best of both worlds). They provide everything you need during your stay, from lockers, luggage storage, airport transfers and a tour desk to help you organize your sightseeing and tours. The welcoming owners make Ben Thanh Retreats Hotel extra special. They are happy to help you out, whatever time of day or night. The owner even went out of her way to send a guest’s forgotten mobile onto her next travel location. Having lost my phone in Vietnam once, I know how amazing that is! The location is right in the heart of Ho Chi Minh City, with the famous Ben Thanh Market and the Renmants War Museum less than 1 km away. They also offer a spa and wellness facility (including a sauna, spa lounge and fitness facilities), where you can take a nice long foot bath or indulge in a massage after a long day of exploring the city. If the spa isn’t quite enough for you, you can also try a variety of different activities, such as Vietnamese cooking class, a trip to a water park, hiking and canoeing adventures, evening entertainment and walking tours. Tam Hostel has a gorgeous minimalist interior, with natural woods, lots of plants and a simple design. Although this is a hostel, they also provide spacious private deluxe rooms and family rooms. The location is great, too — only 100 m from Ben Thanh Street Food Market and 500 m from Ho Chi Minh City Museum. There is a roof terrace where you can relax, enjoy your daily free breakfast (Vietnamese or American style), watch the sunsets and meet fellow travellers. This is one of the most nature-focussed places to stay in Ho Chi Minh City. Although this luxury hotel is located in District 2, a little further from the centre of the action, it’s still be worth checking out if you want a quiet, scenic stay in Ho Chi Minh City. The rooms are decorated in a modern style, with pastel accents and wood, somewhat reminiscent of a high-end spa. The lakeside hotel provides a stunning view and a range of luxury facilities including an infinity pool, a rooftop pool with a bar, sun loungers and umbrellas. There are also free bicycles if you want to explore the city on your own. I stayed at Nguyen Shack in Phong Nha and absolutely loved it. Their Saigon hotel is a little different than their others, as it doesn’t feature any dorm room option and it’s not open to the elements. They’ve brought the bamboo shack concept into the big city of Ho Chi Minh, decorating the guest house to look as if it belongs in the jungle. They also run small charity projects in a couple of their locations. Ask them what they’re doing in Ho Chi Minh City when you visit! Nguyen Shack also has locations in Ninh Binh, Can Tho and Phong Nha. $63 queen suite, sells out quickly! When researching the best hotels in Saigon, we stumbled across Christina’s website. We wish we had been able to stay here but to be honest, Christina’s was a little out of our budget! That’s because it has all the amenities to make it one of the best places to stay in Saigon. The apartment-like suites are beautifully decorated in a modern style and many of them include a kitchenette and separate eating area. At Christina’s, you also get access to communal kitchens, an office/bar area, do-your-own-laundry facilities, and a rooftop patio. This might be the best place to stay in Ho Chi Minh for road-weary travellers and busy digital nomads who need to get some work done! Their friendly reply to my enquiry emails left me feeling cheery, even if I wasn’t able to stay there! Christina’s has three other locations in Saigon, here, here, and here. We stayed at Lief Hotel in Ho Chi Minh City which was a great boutique hotel outside the normal tourist district. We stayed here and loved it! With colourful contemporary design and modern amenities, Lief Hotel appears to be a cut above most similar hotels in Saigon. If you’ve flown in from Europe or North America, Lief Hotel seems like the perfect place to get over jet lag, with its quiet location, extremely helpful staff, and made-to-order breakfast delivered straight to your room. It’s a short taxi ride to the city centre and nowhere near the touristy backpacker’s district, so best for people who don’t want to be partying at the tourist bars late into the night. Lend a little luxury to your Ho Chi Minh City stay at Fusion Suites, where comfortable, contemporary rooms come equipped with your own kitchenette. You’ll also get to indulge in a complimentary spa treatment during your stay. We love the quirky design accents and the floor-to-ceiling windows, which give you a great view of the city. This hotel is right in the centre of District 1, with the War Remnants Museum only 800 m away. Located in District 1, this hotel is named Grand for a reason. Housed in a restored colonial building and just a short walk to Saigon River and Opera House, this grand hotel offers spacious accommodation, an outdoor pool and access to two on-site restaurants. The rooms feature classic French décor with fine bedding and furnishings, including a private bathroom (with a bathtub), air conditioning and a flat screen TV with cable channels. They also offer a Spa and Wellness Center, where you can enjoy a variety of different treatments such as body scrubs, body wraps, massages and facial and hair treatments. Including an outdoor pool, sauna and jacuzzi. The Grand Hotel Saigon is definitely for those who love the finer things in life, but still don’t want to miss out on the action that District 1 offers. What Makes a Hotel Mindful? When at all possible, we stay in hotels, hostels, and guest houses where our money makes a positive impact in the community and the hotel minimizes its impact on the environment. 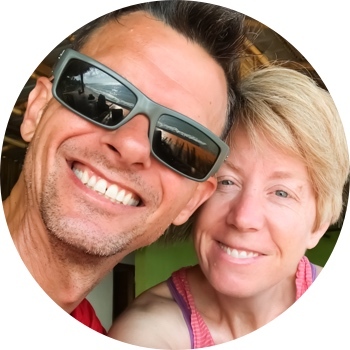 To keep our money local — instead of funnelling it into international hotel chains — we try to stay at small, family owned hotels and hostels whenever possible. These small hotels tend to be more mindful about food, water and electricity waste and are usually less expensive than their corporate-owned counterparts. We also focus on how a hotel might impact our own mindfulness. We like to find places where we can feel completely relaxed — safe, clean, and welcome. Having a comfortable place to sleep every night helps us to roll out of bed in the morning as the best possible version of ourselves. 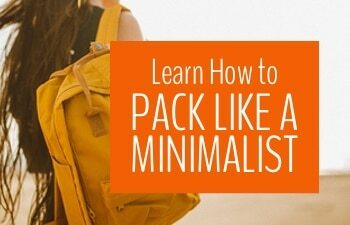 Finally, for us, hotels get a few extra “mindful” points for having enough space to roll out a yoga mat and practice a little Adventure Yoga. Why Did We Write This Guide to the Best Hotels in Saigon? We write comprehensive posts about hotels in places we’ve been because we want to share the hours of hotel research we do — we know that most people just don’t have the time to explore every hotel option out there! We also know that online reviews can be misleading but we’ve had enough experience that we can usually spot the duds a mile away! 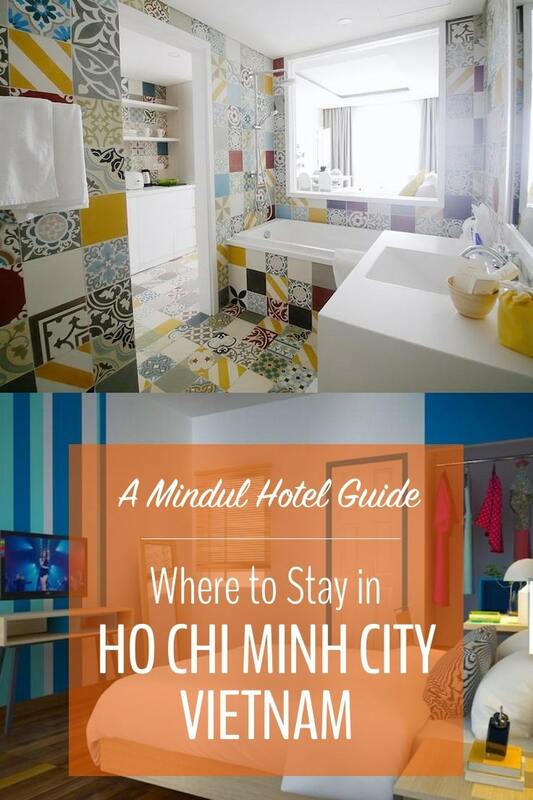 I hope you found our guide to where to stay in Ho Chi Minh city helpful. If you have any questions about the city or any of the hotels we’ve recommended, ask them in the comments below. And if you’ve stayed in a great hotel in Saigon, let us know! Pingback: Your Guide to the Best Craft Beer in Saigon | My Five Acres. Travel. Adventure. Yoga. What a great list of accommodation options that are affordable and have a positive impact on the local community. I do like to stay at privately-owned hotels when traveling to a new destination for a more “local” experience. LiefHotel looks very chic – I love their vibrant design! Thanks Cat! It’s great that you’re keeping your impact in mind when you travel. None of us can be perfect, but if we all think about it a little more we can make a huge difference together! Thanks for commenting! It is a little hard to get your head around the sheer size of Ho Chi Minh City when looking for a place to stay here. These ones are fairly central so all of them (or any hotels nearby) will keep you in the heart of the action! Great! 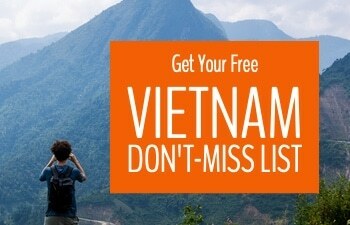 Don’t miss our full guide to travel in Vietnam. Lots of hotel & restaurant recommendations plus itinerary ideas and more! 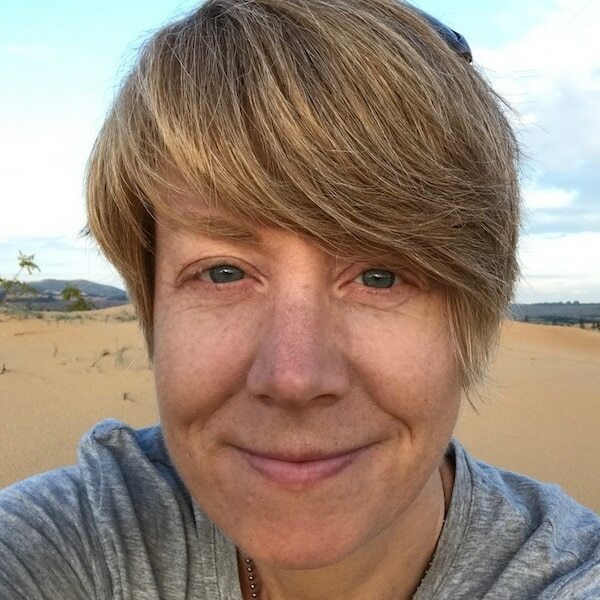 It’s so great that you’re adovocating mindful travel. Going for hotels that contribute to the local community is definitely a great way to start. I love the aesthetics of LeifHotel! Love those tiles. Thanks. We’ve been doing this subconsciously for years, steering away from the big chains and looking for small, friendly spaces. It’s cool to finally do it in a mindful way!! This is a fantastic roundup of places to stay in HCMC. I love the designer bathroom at LiefHotel. I’d stay there just for the bathroom! Thanks for sharing some great spots! It’s always nice to get recommendations when looking at where to stay in a new city with lots of hotels. It’s always so hard to narrow down a search! Christina’s Saigon looks like it would be right up our alley–I can see why it books up fast! Yes, it’s looks pretty perfect doesn’t it? A nice combination of the good parts of a hostel with the best parts of home. Some great looking rooms, the prices are very reasonable too. That’s one of the great things about travelling in Vietnam! Even in Saigon, which is more expensive than most other places in Vietnam, the hotels and hostels are very inexpensive for a high quality stay. There are some really good options for accommodation in this article. I generally stay in hostels but seeing the prices for some of these hotels I would certainly be tempted to stay in one of them. I hope to visit Asia next year and Vietnam is on my wishlist. Hey Mike, hotels can be very cheap in Vietnam. I’ve gotten really decent private rooms for $12 in some locations. Hotels tend to be better than most hostels which are often pretty old-school here. But the hostels are upping their game and some new more modern ones are definitely available! All of them are wonderful choices. I love the colorful tiles in the LiefHotel, such an innovative idea! Me too. It looks absolutely gorgeous and so different from a typical Vietnamese hotel! What a great selection of hotels. Saigon, as the locals call it, has a vast choice, but I think that you have chosen a good cross section for this post. Thanks Janine. It’s my understanding that Saigon refers to the central part of the city or the old city while Ho Chi Minh City refers to the entire city… All of these selections are within the area people call Saigon though!